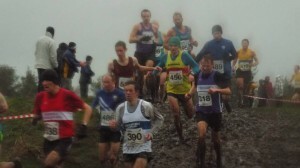 Tewolde Mengisteab was just outside the top 10 in the British Athletics Cross Challenge in Liverpool wearing a Scotland vest and he proved his class to win the West District title at Linwood. The Road Race Grand Prix winner led Shettleston Harriers home to team silver in the men’s race with Luke Traynor of Giffnock North taking the silver and Craig Ruddy of Inverclyde in third. Tewolde clocked 34.28 for the 10k course and won it by 12 seconds from Luke. Michelle Sandison of Springburn Harriers took an early grip on the Women’s race and never relinquished that to claim the West title with Dumbarton’s Melissa Wyllie in second, some 23 seconds behind Sandison. Carole Setchell took the bronze. 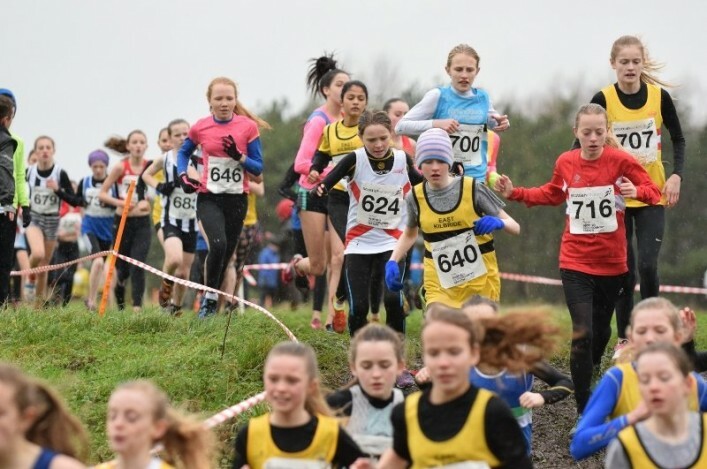 It was the latest weekend in the Lindsays Cross Country Season and to say conditions were tough at Linwood might be something of an under-statement. It was a battle of attrition, in fact, to gain metres in the mud . . . amid lashing run and bitterly cold wind. Small wonder descriptions of the weather/course varied from ‘perfect’ to ‘brutal’. There did seem a certain injustice in the large lap route heading past the ‘synthetic surface’ for hockey and football. Kilbarchan AAC and Renfrewshire Leisure and Council were splendid hosts, however, under the circumstances and the local club had a good day out on the course. Euan Gillham took the Men’s U20 title in spectacular fashion with a big winning margin while Ewan McKerral similarly claimed the U17 men’s title. Laura Stark, also of Kilbarchan, won the combined Women’s U20/U17 race with that being U17 West gold for Laura. Catriona Graves of Garscube Harriers took the U20 West gold. Further down the age-groups, Emma Frew of Ayr Seaforth and Erin Wallace of Giffnock North followed up their Liverpool wins with victories which, while expected, were no less impressive. 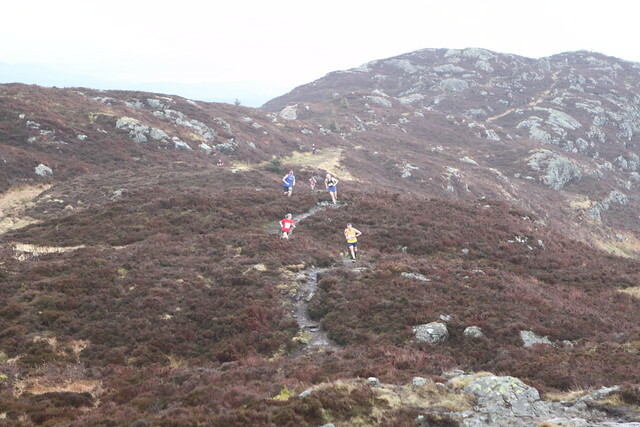 Inverclyde AC’s Ryan Gray won the Boys U15 race and Giffnock’s Hamish Armitt is the West U13 boys champion for 2014. In the team races, it was a good day for Ronhill Cambuslang Harriers as they took home the Men’s Senior golds from Shettleston and Greenock Glenpark Harriers. Six counters ensured depth was required and it is understood Glenpark savoured their first West medals for three decades! Shettleston women topped the podium in their team race with Wyllie leading Dumbarton to the silvers and Giffnock North picking up bronze medals. Talking of depth, what about Kirkintilloch Olympians at masters level? The East Dunbartonshire outfit clearly have a strong group of vets at the moment and won both Men’s and Women’s Masters team golds. Glenpark took the silver in the Men’s Masters and Cambuslang the bronzes while, in the Women’s there were medals for Giffnock and Bellahouston Road Runners. Kilbarchan won both the Men’s U20 and U17 team races while the host club also took the U17 Women’s and Shettleston won the U20s. Further down the age-groups, there were victories for Kilbarchan (U15 Boys, U13 Boys) and Giffnock North (U15 Girls and U13 Girls). These few words probably fail to convey the sheer effort involved by everyone competing at Linwood. With record entry lists, it was a pity dreich weather cast a (large) cloud over Linwood and congratulations to every single athlete who made the podium, resisted the DNF urge or indeed made the start-line. *Big thank-you therefore to the host club, organisers, sports centre staff and particularly the marshals and officials who helped out on Saturday.